A key piece of criminal justice reform legislation is headed to the full Senate for a vote. State Sen. Kevin Matthews, D-Tulsa, is a Senate co-author of House Bill 1269. The measure was previously approved by the House before winning approval in the Senate Judiciary Committee and then by the full Appropriations Committee before the April 11 committee vote deadline. 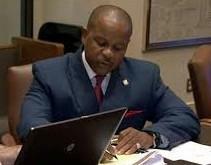 Matthews said the legislation comes in the wake of the passage of State Question 780, which reclassified simple possession from a felony to a misdemeanor. Under HB 1269, people who committed that same offense and were sentenced within the last five years could have their sentences reclassified as misdemeanors. Matthews said he was excited to see the state move towards common sense laws for nonviolent offenses. Senator Matthews said he advocates more legislation that supports drug abuse rehabilitation, mental health funding, and other measures that would further reduce the trend of incarcerating citizens unnecessarily. “This is not the area we want to be number one in,” Matthews said.